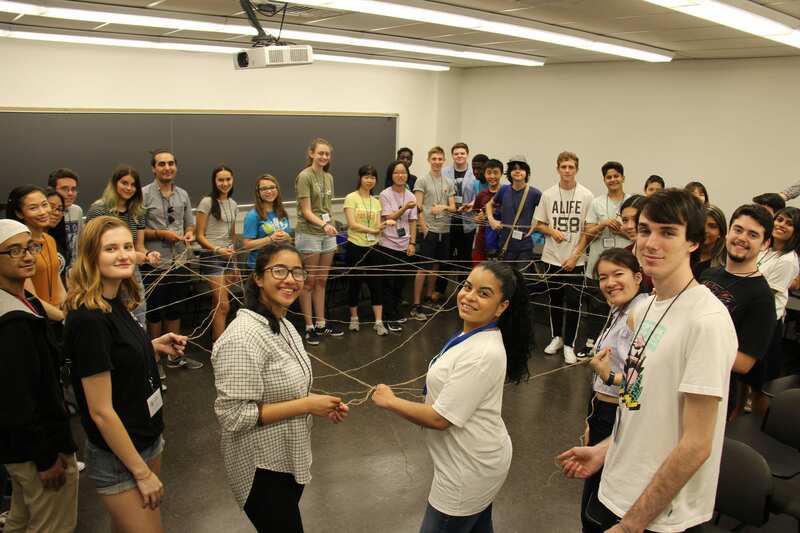 The sixth annual STEM Collaboratory NYC’s STEM Camp at Pace has concluded after two weeks of intensive summer tech-related fun. Hosted and run at the Seidenberg School of Computer Science and Information Systems, the camp introduced participants to tailored coding programs, field trips to top tech companies, and much more. 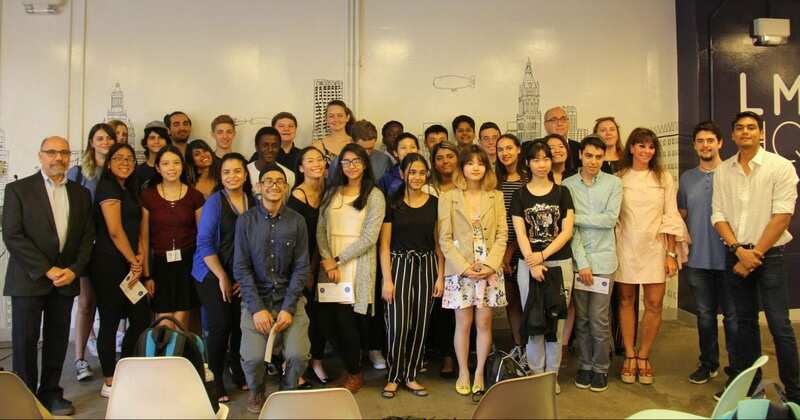 From Monday, July 2 through Friday, July 13, 2018, high school students from the tri-state area descended upon the Seidenberg School to learn how to code Python, data science, data visualization, design thinking – to name just a few. Workshops run by Seidenberg faculty Christelle Scharff and Frank Parisi offered an in depth exploration of hot tech areas, while Seidenberg student mentors led NYC Design Factory soft skills development events. Getting to know you, getting to learn all about you… one of our icebreaker exercises that totally worked the way we meant it to and didn’t end up with twine everywhere. Students weren’t restricted to the four walls of One Pace Plaza, however – several organized field trips included visits to Google for a tour and panel discussion, as well as a trip to local startup AppFigures. As is STEM Camp tradition, the cohort also enjoyed a boat ride to Governor’s Island to visit Billion Oyster Project (during an intense summer heatwave, so ice cream may have been involved). Science takes safety seriously! 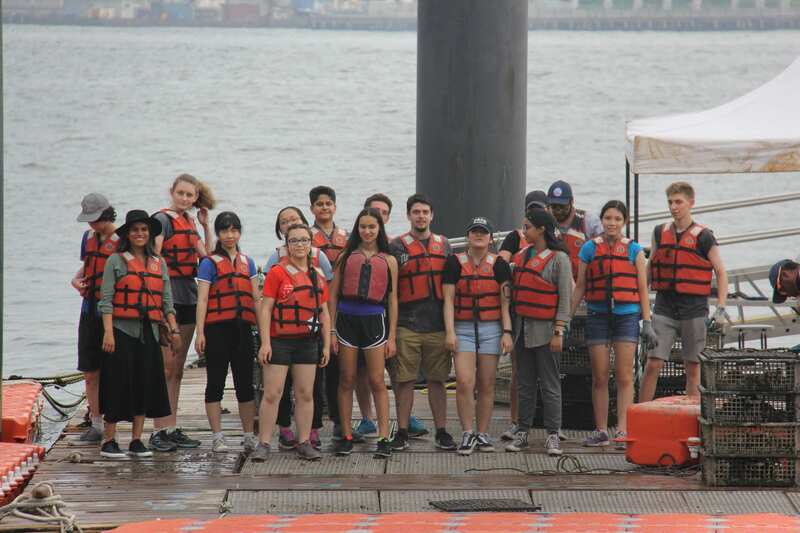 STEM Camp visited Governor’s Island to work with Billion Oyster Project. The Seidenberg School runs STEM Camp in partnership with the School of Education via a grant awarded by the National Science Foundation (NSF). 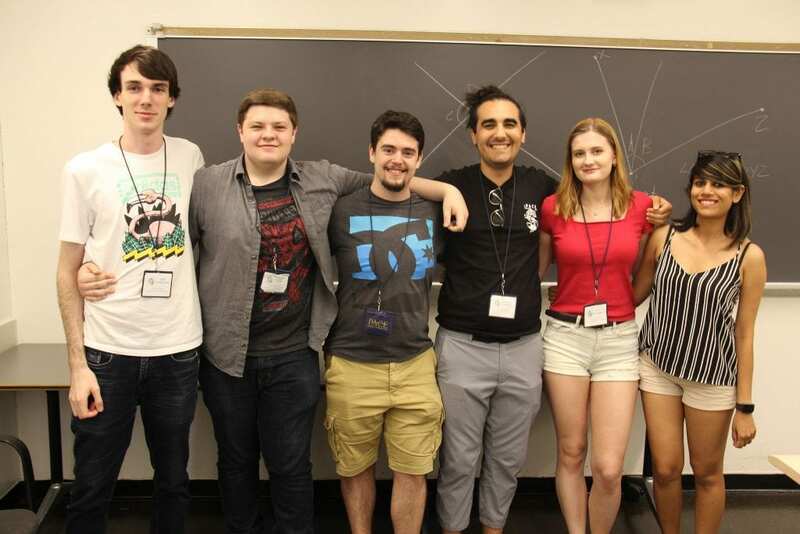 As part of our initiative to bring technology education to the high school classroom as well as our established college experience, STEM Camp was created to bring gifted high school students to Pace University for an unforgettable summer experience that encourages participants to pursue STEM degrees. The camp closed out with project presentations from the students, which we streamed live on Facebook. We’d like to thank Dr. Lauren Birney from the School of Ed, Dean Jonathan Hill, and our amazing team at Seidenberg who made STEM Camp possible: professors Christelle Scharff and Frank Parisi, students Vivian Ng, Allan Krasner, Sven Nussgruber, Jackson Bynes, Guillermo Schneider, Aditee Verma, Anna Marinina, Milind Ikke, and Seidenberg staff lead, Melanie Madera. Student mentors Sven Nussgruber, Jackson Bynes, Allan Krasner, Guillermo Schneider, Anna Marinina, and Aditee Verma, making it happen! Not pictured: Vivian Ng. Stay tuned for a video highlighting the best moments from this year’s camp! Read about previous STEM camps.